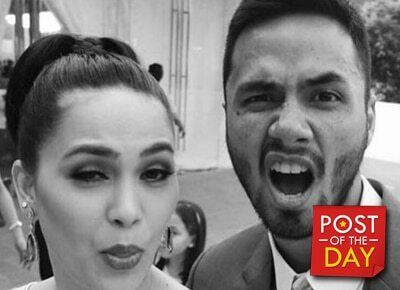 Kristine Hermosa posted a heartwarming message for her husband Oyo Sotto as they celebrate their 6th wedding anniversary today, January 12. “To the most persistent, loving and enduring man in my life... Happy birthday my one & only! What a great blessing to have a godly, dignified, sincere man of virtue. you are the true meaning of manliness. You always make me so proud! Cheers to a lifetime! I love you!” the actress said in the caption of her uploaded photo on Instagram. Also on his Instagram, Oyo posted an anniversary message for Kristine. 6 years. Thank you Jesus. I love you @khsotto thank you for being so patient with me. ?